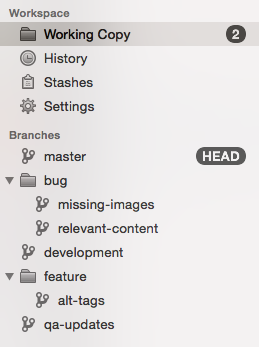 So, now that you’re interested in git, where do you begin? 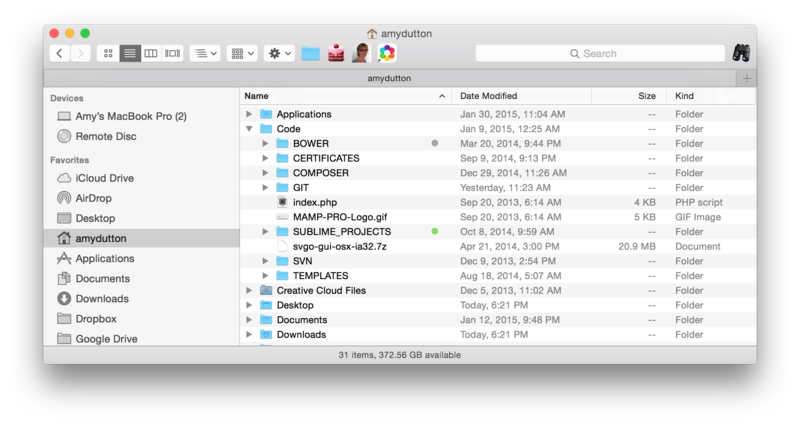 To get started, you’ll need to install git on your local machine (don’t worry, I’ll explain). Eventually, you’ll want to use an online service to store your code, like GitHub, BitBucket, or Beanstalk (more on that below, too). Git is typically run from the Terminal. However, as a designer, I tend to be a little leary of the Terminal. Granted I’ve gotten more comfortable, but I still prefer a GUI (Graphical User Interface) when I can get one. If you need a commit message longer than 50 characters, you can leave out the “-m” parameter and Git will open an editor application for you to write a longer message. You’ll notice there are two URLs listed (fetch and push). One is for read access (fetch) and the other is for write (push). Usually, the two URLs are the same, but you could use different URLs for security and performance issues. You may have noticed from my screenshots, that my Terminal shows me what branch I’m in and changes color based on whether there are uncommitted files or not. Even if you don’t plan on paying for a GitHub account, I would highly recommend signing up for an account anyway. GitHub has practically become a standard for developers. Meaning, if you’re applying for a programming job, your potential employer might ask to see examples on GitHub. BitBucket does everything that GitHub does, but is missing the community that surrounds GitHub. The advantage to using BitBucket is that it allows you to have an unlimited number of private repositories and 5 collaborators for free. 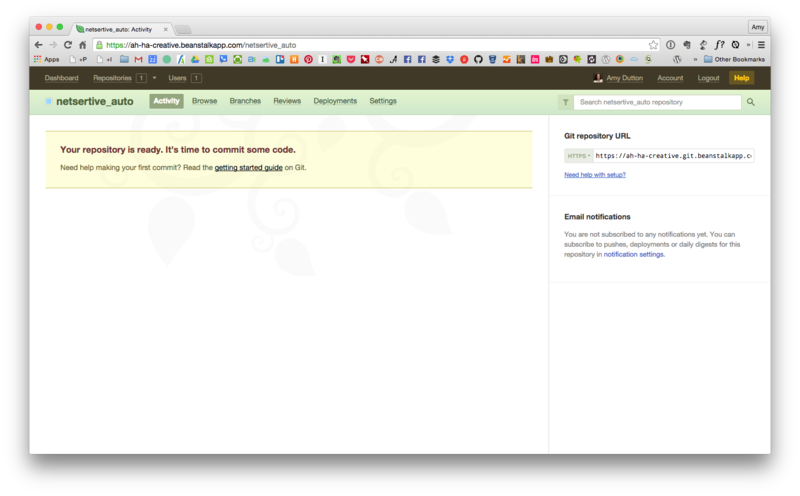 GitHub has their own GUI. Unlike Tower, it’s free. I’ve downloaded it, but I rarely use it since I have Tower.